When running a start-up with a fully distributed team, founders are often faced with a dilemma. How do you ensure that your distributed team remains creative and collaborative while meeting every deadline? 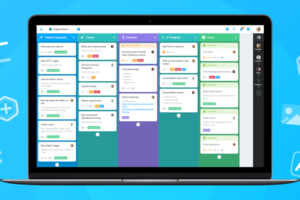 In this success story, we hear from software startup BigBangThemes about how they’ve established workflows to achieve efficient, distributed teamwork. Using MindMeister to prevent siphoning within their team and MeisterTask to never miss a deadline, the team deliver great projects together, on schedule. 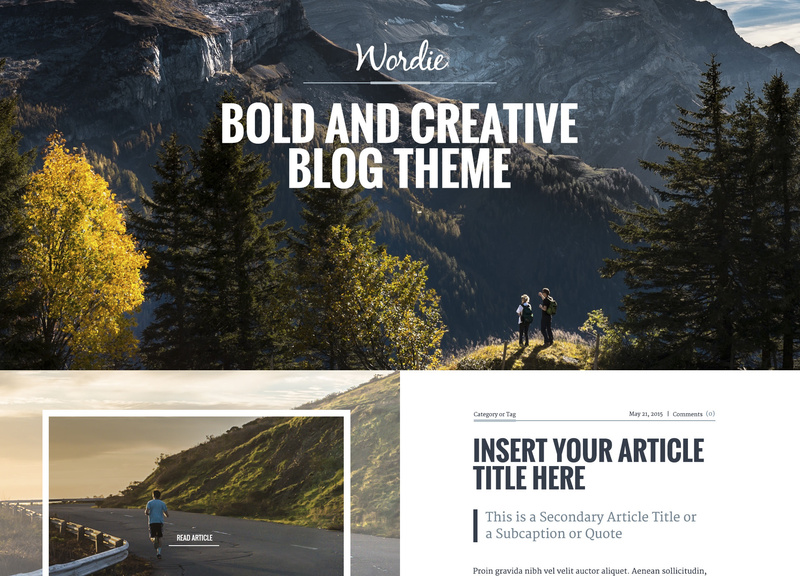 BigBangThemes is a software startup that builds and sells attractive web templates. We had the pleasure of hearing from BigBangThemes’ Founders, Andy and Alex Marin, about how they manage their small but growing team to deliver quality products. The team aims to boost client earning potential by designing and creating products such as drag and drop email builder tools, and WordPress themes for client websites. As a result, the team began looking for a planning tool that would help them to create a collaborative company strategy. 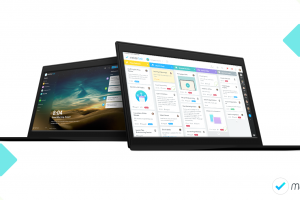 Additionally, they sought a task management solution that would help align all deadlines and enable teamwork, even when working from different home offices. We simply couldn’t find what was going wrong and causing constant deadline delays. We also found that there was a “wall” restricting profit-making. “Thankfully, we were able to use MindMeister to clearly outline every aspect of our business and the way it’s interconnected with others,” Alex shared. Your browser is not able to display frames. Please visit Business Strategy on MindMeister. The mind map has provided the company with a clear vision and a refined business strategy. By including all important business information, it can also act as a knowledge map, to support remote team members with questions or onboard new staff. MeisterTask is a fabulous tool that we use every day. 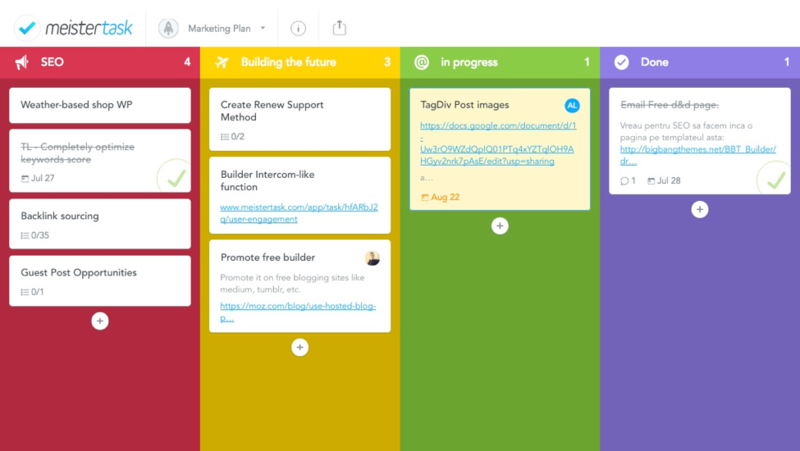 It holds our team together, helping the Project Manager keep tabs on team productivity, driving us forward. “For a company that’s working in so many different micro niches, it was extremely important for us to find a task management tool where we can clearly separate projects and create different tasks within those projects,” Alex explained. 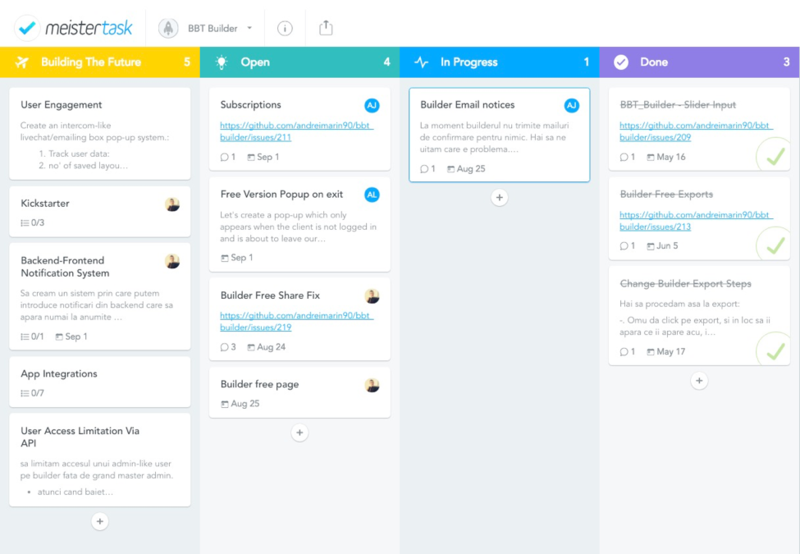 By using the MeisterTask integration with BigBangTheme’s main internal communication tool, Slack, the team is able to stay up-to-date with all project and task progress, both via the automated updates in Slack and by monitoring the transparent Project Boards. 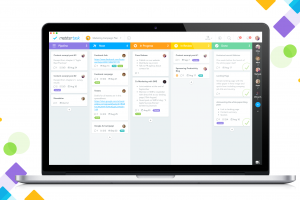 To ensure all team members remain in the loop with project progression, BigBangThemes run monthly sprints and check-ins for task completion via their shared MeisterTask project boards. 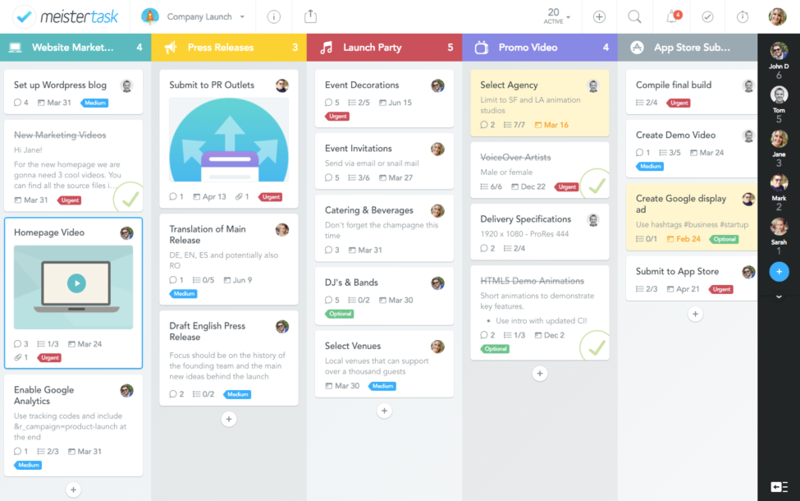 Within their sprint project boards, it’s mandatory that team members include all tasks that are coming up, in progress and complete. This provides Alex and the rest of the team with a quick, visual overview of how projects are progressing, despite being distributed. 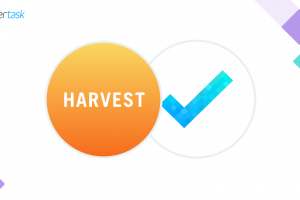 Similarly, when tasks move from one stage to the next, the next team will be notified, either via the task being reassigned to the next team member or via the Slack integration. 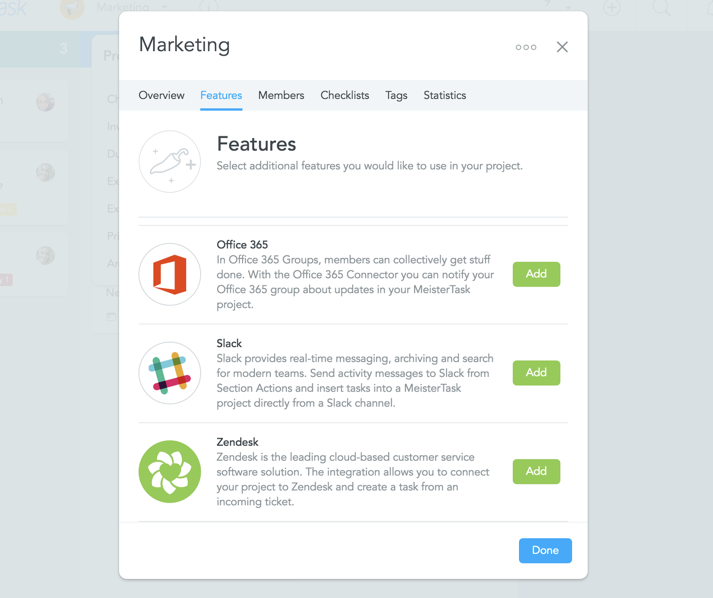 Manage projects all in one place. One of my favorite customized sections on our shared project board is titled “Building the future”. In this section, everybody can add their ideas for certain features, products, or functionalities that should be added but aren’t yet planned. 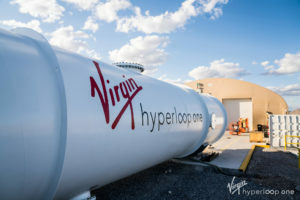 Within their “Building the future” project section, the team also compile ideas and feedback from their clients, for the team to incorporate into future updates. 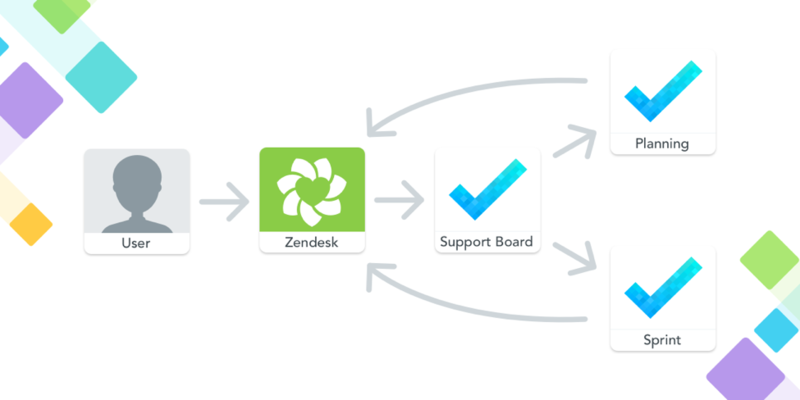 In order to ensure all client feedback will be considered within their monthly sprints, the BigBangThemes team use the Zendesk integration for MeisterTask. Via the integration, all feedback is sent directly to the relevant MeisterTask project board. The tickets are then created as tasks for consideration, meaning no client input will be lost or forgotten. 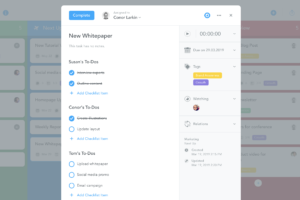 I can definitely tell you that since integrating MeisterTask into our workflow, we’ve never missed a deadline and have also massively improved our products. At MeisterLabs, we’re always excited to hear about the positive impact that MindMeister and MeisterTask are having on businesses. 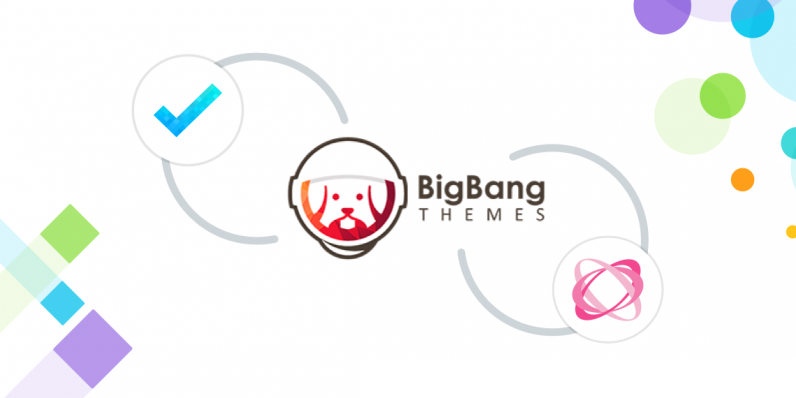 For more information on the work of BigBangThemes, visit their website.